MACON, Ill. – Save the date, because the B.G. Nevitt Memorial Faster Pastor Night has been rescheduled for Saturday, July 19 as part of Kid’s Castle Night at Macon Speedway following a rain out last weekend. 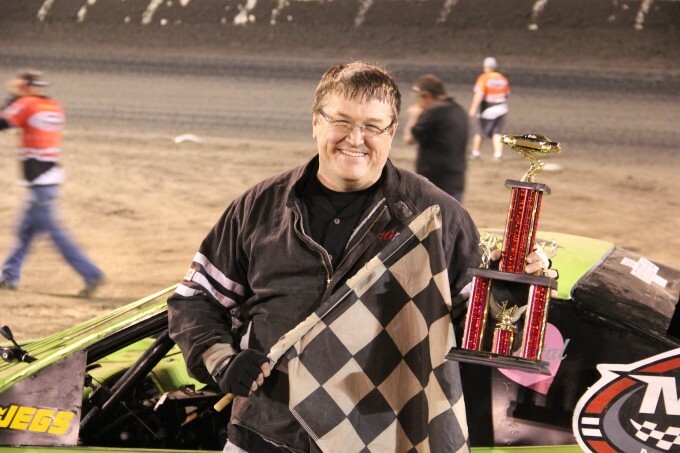 Ministers from area churches will compete in a race renamed this season after Nevitt, the popular senior pastor at Glad Tidings Church in Decatur who passed away last summer. Nevitt is also the defending champion of the Faster Pastor race, so it makes great sense to honor him. Pastor Rick Spangler from gtChurch is excited to race for the congregation. Spangler has some experience in racing, but he will have plenty of competition while going for the trophy. Other pastors scheduled to race are Pastor Rod Hite from Destiny Fellowship in Moweaqua, Pastor Ryan Baker from First Christian Church in Moweaqua, Pastor Shane Whitaker from Maranatha Assembly of God in Decatur and Pastor J.J. Hairston at Galilee Baptist Church in Decatur. The field has already added Pastor Richard Chappell from Body of Christ Ministries in Macon. There’s also a possibility of adding more churches. Let’s make this a great night to remember B.G., who touched the lives of so many people in Decatur and Macon County. The congregations were already forming big cheering sections. So get your church T-shirts ready and make sure they know who you want to win the B.G. Nevitt Memorial Faster Pastor Race. The program is loaded on July 19, including a Big Ten Series late model race. There’s a Hall of Fame Reunion, and the CEFCU Kid’s Club will meet. It’s a great chance to make some new friends among Kid’s Club members.